As recently reported by New Frontier Data, cannabis stocks have outperformed major indexes in 2016. "Cannabis stocks significantly outperformed major indexes in 2016, fueled by speculative investment based on anticipated expansion of new legal markets. In the run up to the election, stocks increased by 207.8% and continued to rise, even with an uncertain future under the new administration. While recent comments by the (presidential) administration did have an initial dampening effect on the market, we have seen continued growth relative to Q4 2016 whereby cannabis stocks are still outperforming other sectors," said Giadha Aguirre De Carcer, CEO of New Frontier Data. SinglePoint, Inc. (OTC: SING) on June 6th announced that its initiative to develop a Bitcoin payments solution in partnership with First Bitcoin Capital Corp. (OTC: BITCF). The two companies signed a Joint Venture agreement to develop and distribute a viable payments solution using block chain technology. First Bitcoin Capital is an industry leading Bitcoin and blockchain technology provider and SinglePoint has a deep history in distribution. The two companies believe this partnership will enable each company to focus on their core strengths to build and supply the best Bitcoin solution available. With the massive and widespread adoption of Bitcoin worldwide, the two companies will pursue opportunities to leverage their payment technology background and develop a proprietary solution specifically for high-risk payment verticals including the cannabis industry. SinglePoint's representation at Mobile World Congress in Barcelona this year saw many solutions being utilized in other countries based on Bitcoin and other crypto currencies such as Ethereum. SinglePoint and First Bitcoin Capital believe they have found a way for the customer experience to go unchanged at the point of sale when paying with a credit or debit card at medical and recreational cannabis dispensaries. As SinglePoint CEO Greg Lambrecht states, "In January 2014 SinglePoint announced and started working on a bitcoin payment solution, shortly after we recognized the issue of minimal user adoption of digital currency. The payments industry has rapidly changed since that time. There is now tremendous momentum and demand for bitcoin acceptance as an alternative form of payment. This Joint Venture with First Bitcoin Capital is perfect timing. 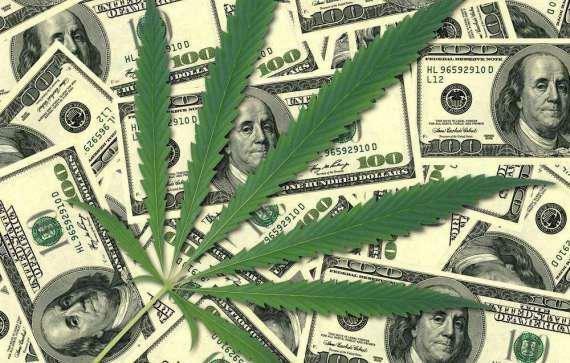 Bitcoin payments are catching on and cannabis dispensaries need a solution fast." Kush Bottles, Inc. (OTCQB: KSHB) is a dynamic sales platform that provides unique products and services for both businesses and consumers in the cannabis industry. The company is a packaging and supplies company for dispensaries and growers, Kush Bottles has sold more than 100 million units and now regularly services more than 4,000 legally operated medical and adult-use dispensaries, growers, and producers across North America, South America, and Europe. The company has facilities in the three largest U.S. cannabis markets and a local sales presence in every major U.S. cannabis market. On May 9th, Kush Bottles announced it has acquired the web domain Roll-uh-Bowl.com, an online distribution platform for retail sales of collapsible and unbreakable medical-grade silicone water pipes. Roll-uh-Bowl.com sees an average of 39,500 web users per month. MassRoots, Inc. (OTCQB: MSRT) is one of the largest technology platforms for the regulated cannabis industry. The Company's mobile apps enable consumers to make educated cannabis purchasing decisions through community-driven reviews. MassRoots is affiliated with leading businesses and organizations in the cannabis industry, including the ArcView Group and National Cannabis Industry Association. On June 9th, MassRoots and HIGH TIMES, the world's leading cannabis media, events and information business announced that MassRoots made a strategic investment in High Times Holding Corporation, 'High Times', the leading voice of the Cannabis Industry, in February 2017. CV Sciences, Inc. (OTCQB: CVSI) operates two distinct business segments: a drug development division focused on developing and commercializing novel therapeutics utilizing synthetic CBD; and a consumer product division in manufacturing, marketing and selling plant-based CBD products to a range of market sectors. CV Sciences, Inc. has primary offices and facilities in San Diego, California and Las Vegas, Nevada. On May 2nd, CV Sciences announced that it will be meeting with the U.S. Food and Drug Administration (FDA) on June 15, 2017, to discuss its initial drug candidate (CVSI-007), a chewing gum that combines CBD and nicotine, which the Company believes has the potential to effectively treat smokeless tobacco addiction. Cannabis Sativa, Inc. (OTCQB: CBDS) focuses on branding and marketing the highest quality, legal cannabis and hemp products. On April 10th, Cannabis Sativa announced that it entered into an agreement to acquire the intellectual property for the White Rabbit brand of cannabis sprays and cannabis mints. The acquisition will include the exclusive and proprietary product formulations, product mixes, manufacturing methods and branding. The White Rabbit product line currently consists of fast acting low dose cannabis oral sprays and popular low dose cannabis mints. Both the spray and the mints are formulated as CBD only, THC only and CBD/THC blends. Dosage ranges include 2.5mg, 5mg and 10mg tablets and sprays with 1:1 and 20:1 variations of each.